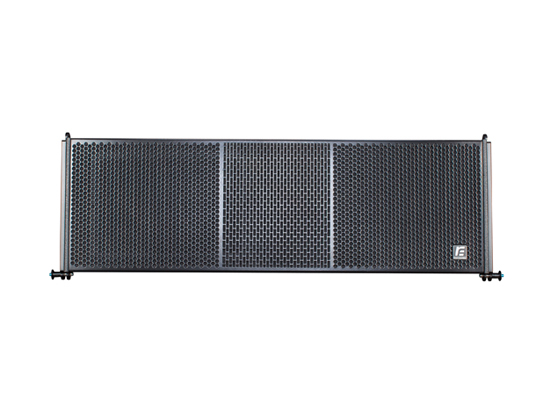 VT310 - VT Line-array Series - Guangzhou Rui Feng Intelligent Technology Co., Ltd. The HF, MF, LF of the VT series line-array system applies the phase correction technology, makes it the wave front independently same in the phase. MF features EPP technology, which could expand the MF bandwidth effectly and improve pahse response. At the same time, it realizes the consistency of the MF. LF applies dual-driver synthetic push-pull technology for improving the transmission effeciency. At the same time, the coupling and the phase of the LF are developed. VT series line-array system follow the line-array acoustic character, and set the working bandwidth of HF/MF/LF.